They Castanea Sativa Mill, which has internal septation and have a strong taste of the chestnut sativa own that has nothing to do with the hybrid tasteless. Not for nothing all production comes from trees that often have more than 300 years. They are calibrated in units / Kilo, and for that we adapt our machines to ensure that the sizes range from 5 by 5 units. 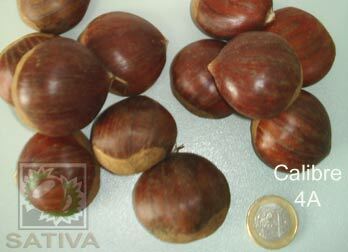 For example: the size 5 A, between 40 and 50 units kilo, chestnuts can be subdivided into 40/45 and 45/50. It allows us to reach our most demanding customers. 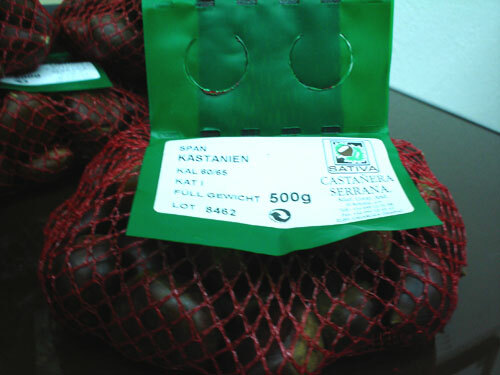 Calibre 3A, 60 to 70 Units / Kg. 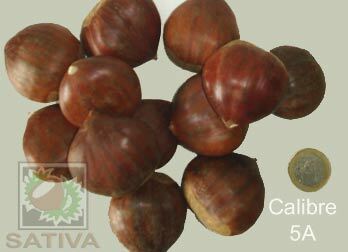 Calibre 4A, 50 to 60 Units / Kg. 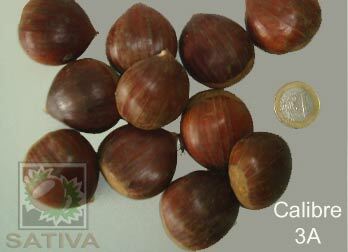 Calibre 5A, 40 to 50 Units / Kg. 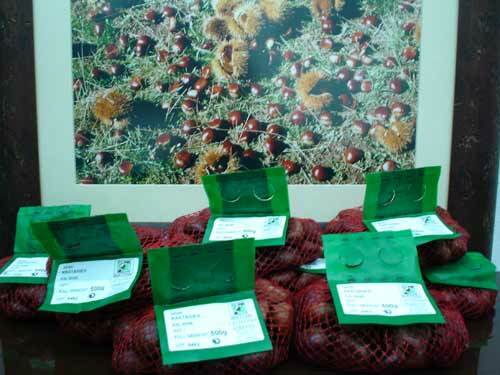 The type of packaging varies depending on market requirements, to traditional markets used red mesh bags of 5 Kg, which is the standard size. For large areas use different formats, depending on customer needs. The most common is red mesh zippered plastic welding or blue green 500 grams, and in cartons of 40 cm. x 60 cm, with 20 screens per box.